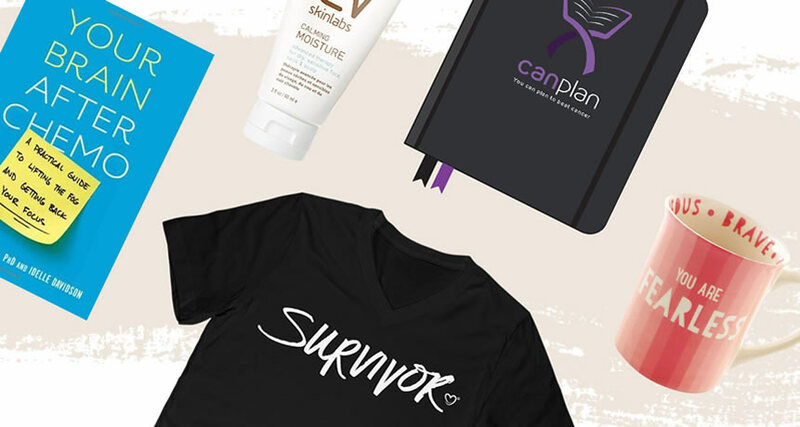 The following post was written by Jessica Olson, a YouCan champion and 3x cancer survivor. When I first finished chemotherapy and radiotherapy for Hodgkin's Lymphoma in 2011, I was constantly afraid of relapse. I'd gone to camps where survivors and patients meet-up to talk about their cancer experience and plenty of them experienced a relapse or a secondary cancer. The thought was constantly in my mind, the fear always lurking there in the back: :"don't be too happy, it might come back, and you'll look like a fool for thinking it ever left for good." But sure enough, time heals all wounds, and four years down the track a relapse had escaped my mind, almost completely. My doctor had explained that the longer you go without relapsing, the more unlikely it is that you will. So with only six months left before I was labelled 'clear,' I was living a normal young adult life. I partied and drank alcohol without concern, I was in my third year of university studying Journalism and Communication and Media. I was not living day to day, I was saving money, planning for the future and setting myself up for a great life. But then I found the lump under my jaw. Initially, no one thought it could be cancer. This lump was completely different to the first cancer I had. It was in a different location, much smaller and (I thought) it felt much different than what a tumour should feel like. Initially I was misdiagnosed; the doctor said it was not cancer, but I should monitor it for 6 months. Sure enough, six months passed and I knew things weren’t right. I went to a different doctor, had it rescanned and low and behold those familiar words “you have cancer” came back at me through the phone and it was almost as if I were fifteen again. Vulnerable, scared and confused awaiting the worst. Unfortunately the journey didn't stop there; pathology came back to say the cancer had spread to my lymph nodes and was in the margin, so I was given 6 weeks of daily radiotherapy. This was gruelling, as previously I'd only had 2 and a half weeks of radiotherapy; 6 weeks dragged on forever. I endured the burns, assuring myself this would be the last of it. After all, the doctors gave me a 90% chance of cure after radiotherapy. But alas, the journey still was not over. Two weeks after completing treatment I found a new lump. Again, no one believed it could be cancer, because I'd just had so much radiotherapy. But again, I defied the odds and it came back as mucoepidermoid carcinoma again. This time, there was not a lot they could do. My doctor offered me the only chance I had: an enormous surgery where my facial nerve would be removed, the nerve to my tongue would be removed, the floor of my mouth would be cut out and due to all the damage a permanent breathing and feeding tube would be inserted. Additional scans showed the cancer had actually spread to the left side of my neck, meaning an additional neck dissection would happen on the left side, bringing my chance of survival down to 10%. As dark as it is to say, I went home and looked up euthanasia. I didn’t think the person I was going to wake up as would be the person I want to be, and I wanted to know if that was the case how I could kill myself. Realising these thoughts could be stopped, and instead of enduring this horrendous surgery, I could just go down as 'me.' I opted not to have the surgery. Rather than sitting back and doing nothing, waiting to die, I began searching for alternate therapy. I initially began Chinese medicine for three weeks before I heard about cannabis oil. Unfortunately, cannabis is illegal in Australia so I had to obtain it from the black market. I had no doctors monitoring me and no professional administering it. There were no survival rates or tested substances, it was pure blind faith and a whole heap of hope that kept me going. That and the fact that I just couldn't accept that at 20 years old I was going to die. 13 weeks after taking cannabis oil daily, I had a PET and CT scan that showed I was in remission! This news still astounds me today. I went from a death sentence to cancer-free with my whole life ahead of me. My doctors called me a 'miracle!' Three months earlier they had sent me to palliative care and told me to make a bucket list, and now they were deeming me in remission. To say I was amazed was an understatement. I've realised that there are many ways to heal, and to judge someone on their decision is completely unethical. Before my experience, I didn't believe in anything besides western medicine. My faith was entirely in the doctors, chemotherapy and radiotherapy. Today I embrace a healthy diet, alternative medicine, a positive mindset and a strong will. There were so many factors that got me through, some meditation, a bucket-full of kindness from family, friends and strangers and endless prayers. I don't know why I beat this, I don't fully understand yet why I deserve to live and others haven't, but I know that whatever it is - I have a destiny. I believe in fate and I believe in lessons and I definitely don't believe that things happen without a reason. I never thought that after three cancer diagnoses I would say "I love my life" but I do - I truly do. I love the ups and the downs, the lessons and the blessings. Nothing would be the same without having had cancer, and although it was a brutal way to learn to love life, I truly could not be more appreciative now of every breath I take. As a reminder, You Can Connect and IHadCancer.com is not in a position to advise, recommend, diagnose, or be a substitute for medical advice. We encourage you to always seek the advice of your clinician or Youth Cancer Services regarding your health.